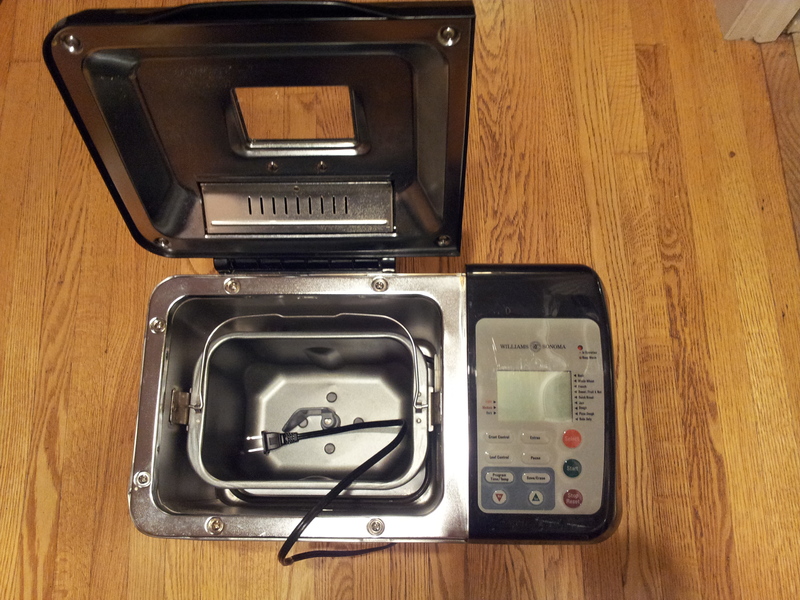 You are here: Home / Uncategorized / Guess Who Has a New Kitchen Toy? Guess Who Has a New Kitchen Toy? If you believe those late-night infomercials, the secret to getting what you want in life is to imagine yourself having it. Want to get married? Make symbolical “room” in your life and imagine yourself attracting a mate. 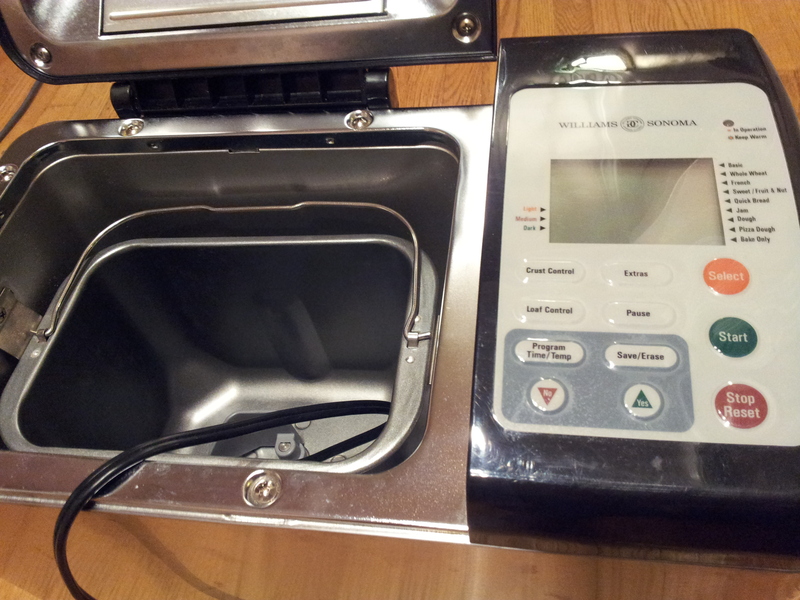 Well, after October Unprocessed, Mike and I were clearing symbolical room in our kitchen for a bread maker. Last week – a week after the October challenge ended – a colleague mentioned she had a neglected bread maker at home that may be destined for the second-hand store. I rescued it from her garage and we are now the proud owners of a Williams Sonoma bread machine, model and vintage unknown! The catch is there’s no booklet or recipes with it. Luckily, there’s Google. Do you have a favourite whole-grain bread maker recipe? Bread (or anything made with yeast, actually) terrifies me. I have visions of the wet dough rising up under the lid and oozing down the outside of the canister as soon as I take my eyes off it. And I imagine watching dough rise is about as exciting as watching paint dry. We’re going to give it a try, though, and see what happens. The canister holds 1.5- and 2-pound loaves. Any hints? Favourite recipes? I’d love to hear your thoughts and tips. I’m going to need them! Congrats on the new toy!! I love making bread! I follow a recipe from the Bouchon cookbook for making batards. I’ve always been curious about a bread machine. Making bread isn’t that scary. It is time consuming, but not labour intensive. And the results are amazing! Let me know if you want that recipe? Maybe look up Martha Stewart recipes on her website. I’ve also read the Peter Reinhart book, but not sure if he had an bread machine recipes, he had more of the kneading type.